Following the launch of the highly successful Coworth Park in September 2010, Dorchester Collection is unveiling two new properties in 2011. 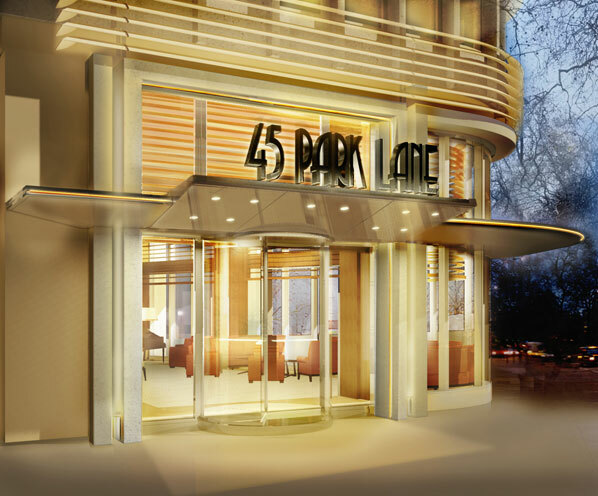 The first, 45 Park Lane, London, is opening in September and has a contemporary design with art deco influences and will be the first new 5-star hotel to open in Mayfair for over a decade. The much anticipated Hotel Bel-Air in Los Angeles, is also re-opening in October, after an extensive two year refurbishment. Wolfgang Puck, the much celebrated chef, will be overseeing the dining operations at both hotels, opening CUT at 45 Park Lane, his first ever restaurant in Europe, and Wolfgang Puck at Hotel Bel-Air. 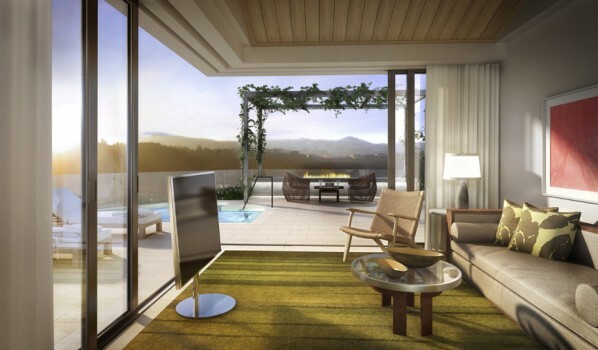 Le Richemond in Geneva joined Dorchester Collection’s growing portfolio of luxury hotels on August 1st 2011. Set on the banks of Lake Geneva, the prestigious 109-room hotel is Dorchester Collection’s first third-party management agreement. To further position itself as one of the leading luxury hotels in Geneva and in line with the standards of Dorchester Collection, Le Richemond will undergo a refurbishment of its public areas including the restaurant and bar as well as its suites, to be completed in 2013. The sale of The New York Palace to Northwood Investors, a highly-regarded, private investment company, was completed mid-July 2011. Ed Mady, previously General Manager of The New York Palace, has been appointed as general manager of The Beverly Hills Hotel where he will manage the 210-room hotel, which includes the two new Presidential Bungalows that debuted in June 2011. He has also been appointed as West Coast Regional Director USA, overseeing both The Beverly Hills Hotel and Hotel Bel-Air, led by General Manager Tim Lee. In Paris, both Hôtel Plaza Athénée and Le Meurice have been awarded the distinction of ‘Palace’ hotel, by the Tourism Secretary of State, M. Fédéric Lefebvre. Dorchester Collection’s Parisian hotels were two of only four in Paris and eight selected in France. To qualify, the hotels had to meet a very precise list of criteria and services, and both Le Meurice and Hôtel Plaza Athénée impressed the jury with their exceptional location, architecture, quality of their facilities and outstanding levels of personal service. The recently renovated Hotel Principe di Savoia in Milan is introducing the ‘Truffle Tasting Package’, a unique epicurean experience for lovers of luxury, haute-cuisine and adventure; available throughout October and November 2011. Opening the doors to an exclusive culinary world, the package includes truffle hunting in the beautiful woodlands of Roddi, with an experienced guide and dogs, the chance to visit the best truffle shops in Alba, as well as a four course lunch featuring the black truffle at the hotel’s acclaimed Acanto restaurant. This year also sees the 80th anniversary of The Dorchester. Inspired by the landmark plane tree which has graced the entrance to Mayfair’s most famous address for 80 years, The Dorchester is celebrating by planting 80 ‘Future Great Trees’ in London with a unique collaboration with international charity Trees for Cities. This autumn also sees the renovation of the four rooms making up the Ballroom Suite at The Dorchester in London, led by international interior architectural design studio, Alex Kravetz Designs. In addition, Dorchester Collection Fashion Prize is taking place in New York throughout 2011. The Prize was launched to help young designers make the next step to global success and recognition. This year an up-and-coming designer will receive US $40,000 from Dorchester Collection as well as the opportunity to display their collection during Paris Fashion Week in 2012 at the group’s Hôtel Plaza Athénée. An impressive list of high calibre judges on the panel include Derek Blasberg; Thom Browne; Francisco Costa; Shala Monroque, Lauren Santo Domingo as well as Georgina Chapman and Keren Craig, designers at Marchesa fashion brand. To access all the latest information about the world’s major hotel companies via one mobile platform visit Hotel.City.Mobi.